For Marylanders, the only thing more patriotic than the cast of The Wire eating crabs with the state dinosaur, Astrodon johnstoni, is a single 6oz can of Old Bay. 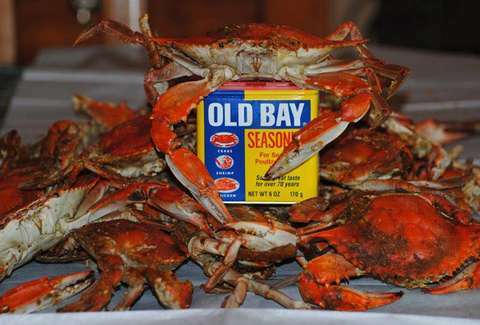 The magical spice blend goes on seafood and popcorn and everything in-between, which is why we decided to take a closer look at the Old Bay origin story and beyond. There's a lot of ground to cover, but trust us when we say it all leads back to Exodus. 1. 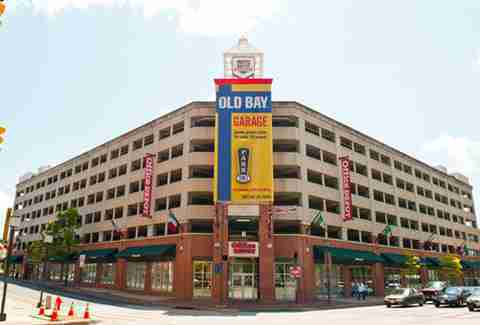 Old Bay founder Gustav Brunn came to Baltimore in 1938 after barely escaping Nazi Germany with his life. He was briefly sent to the Buchenwald concentration camp in Ettersberg, but, according to his son Ralph, the family was able to bribe the Nazis into releasing him with 10,000 marks. The Brunns immediately shipped off to Charm City and launched Gustav's delectable seasoning one year later. 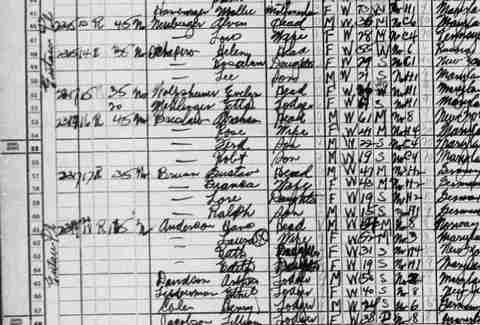 Here they are repping Baltimore's Ward 13 in a 1940 census. 2. One of the possessions Gustav refused to leave in Germany? 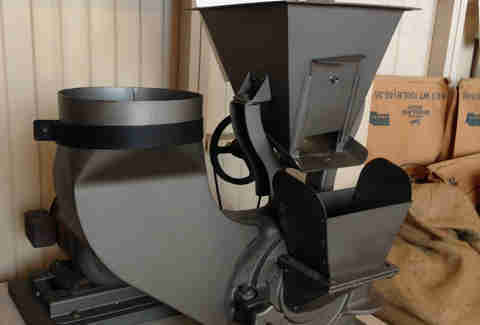 His spice grinder. 3. Though accurate, Old Bay's original name, "Delicious Brand Shrimp and Crab Seasoning", was not the sexiest or the most succinct, so Brunn changed it to Old Bay in a nod to the Old Bay Line, a steamship route that operated on the Chesapeake Bay from 1840 to 1962. 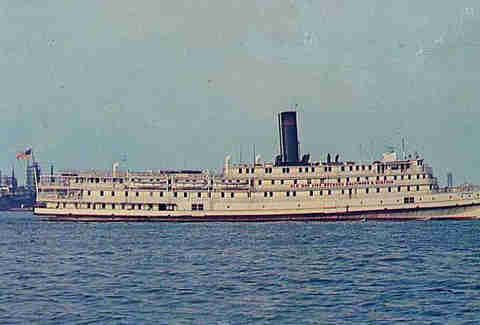 It was the last of America's once-hopping overnight steamship services when it shut down, and it saw plenty of history: its ship, the President Warfield, was deployed in the WWII Normandy invasion before falling into the hands of the underground Jewish military organization Haganah, which renamed it "The Exodus" and tried to use it to illegally get into Palestine. As you might know from the bestselling book or Paul Newman movie Exodus, it did NOT go well. 4. 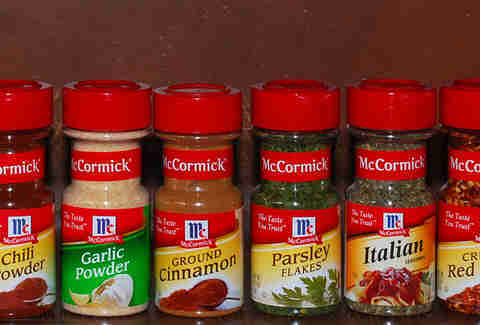 McCormick & Company snapped up Old Bay in 1990, which is pretty ironic, considering the group's past dealings with Gustav Brunn; the spice master actually worked for McCormick when he first moved to Baltimore... for less than a week. Some say he was fired because of his poor English skills, others (namely, Ralph Brunn) say it was because he was Jewish. But either way, McCormick claims to have no records of the incident. 5. 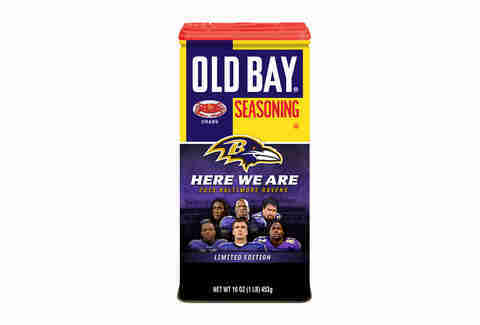 The trademark seasoning isn't the only Old Bay foodstuff you can shovel into your mouth. The brand also shills tartar and cocktail sauces, and partnered with Roma Gourmet Sausage to bring us this incredible Old Bay sausage a few years back. They're still on the Roma product roster, but you'll basically only find them in local grocery stores and, of course, Camden Yards. 6. The Old Bay faithful dump the spice on just about anything -- pizza, corn on the cob, French fries, chicken wings, etc. -- but some people really push it to the limit. 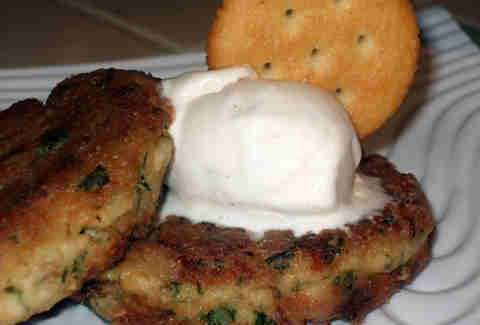 Just check out this "Old Bay ice cream sandwich" featuring Old Bay-seasoned ice cream and two crab cakes made by the maniacs at The Ice Dreamery. 7. 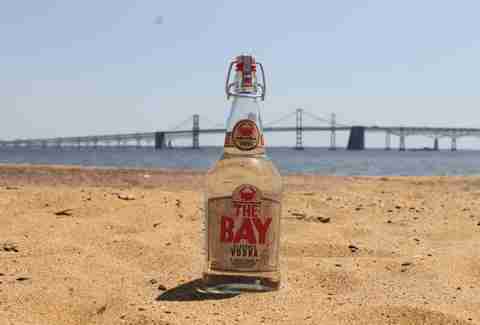 Though it's not straight-up Old Bay-infused booze, The Bay Vodka cribs a lot of the spice's style with "traditional Chesapeake Bay seasoning". It's made by Philadelphia Distilling, but rest assured that this stuff is authentic Murrland hooch. The company's president Andrew Auwerda, who went to UMD and lives in Cecil County, put members of the Baltimore Bartender's Guild on the taste-testing panels and got all the spices from Maryland. So dude knows his stuff. 8. Old Bay has a legit mascot who's prone to show up at baseball games and even Times Square. 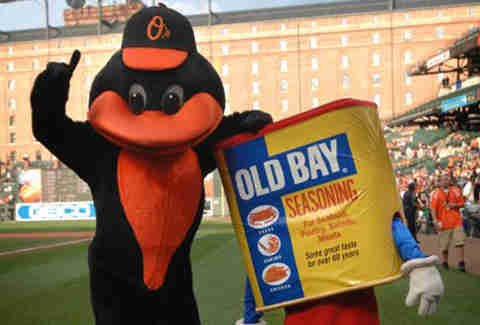 And by mascot, we kind of just mean "human-sized container of Old Bay". 9. Last year, MGH, the ad agency that reps Old Bay, launched a massive campaign called the "Summer of Baytriotism" which included a restaurant contest for 70lbs of the seasoning and this takeover of a garage on President Street. The decorative can weighed 82 tons and proudly covered the garage for the season. After the Summer of Baytriotism wrapped up, MGH kept their crazy schemes going by debuting Baltimore Bill, a "weather-predicting crab". 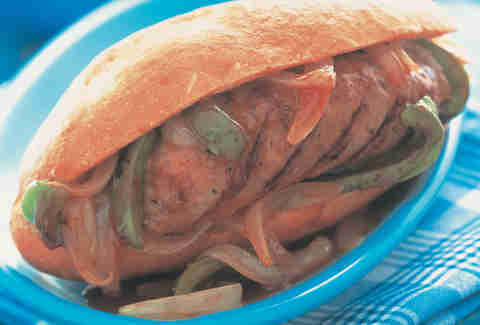 No word yet, though, on whether they'll team with the Pork Council to offer up a "Bay of Pigs" event. 10. Some college freshmen get welcome packets with a water bottle or a lame book to "spark discussion" with their peers. 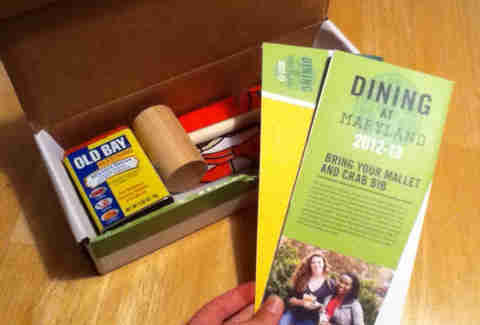 Not the University of Maryland coeds -- theirs comes with a mallet and a whole can of Old Bay, which is more valuable than a semester's worth of textbooks. 11. 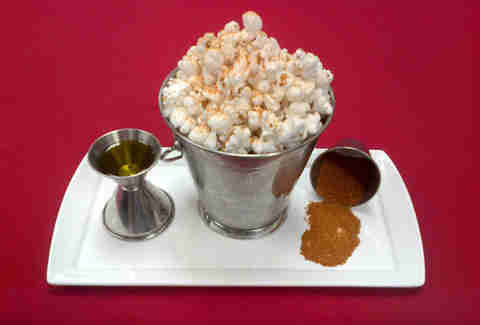 On top of serving Old Bay-drenched foods like this popcorn, The Yard at the Baltimore Marriott Inner Harbor at Camden Yards brings patrons their check in a cleaned-out Old Bay can. 12. To commemorate the Baltimore Ravens' Super Bowl XLVII victory, Old Bay made this limited-edition can. A batch of 30,000 went to grocery stores in Maryland, Delaware, and Pennsylvania, while the totally real McCormick World of Flavors also offered them in a $14 package with a "Baylieve" T-shirt. If you managed to snag one, hold onto that sucker. It's definitely going to be worth $50,000 in Charm City by 2020. 13. When world-class chef 2 Chainz released his long-awaited cookbook in September, Old Bay got a special shout-out. 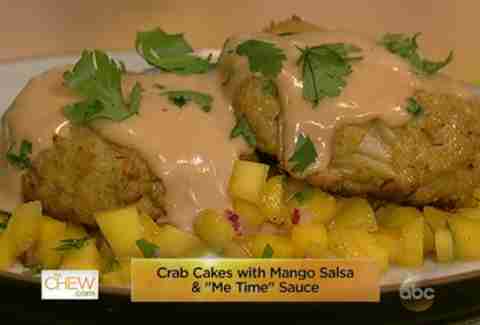 The seasoning was featured in Mr. Chainz's "Me Time" Sauce along with mayo, BBQ sauce, Dijon mustard, and lemon juice. The "Me Time" Sauce instructions also suggest you spend some "me time" catching up on The Wire as you eat, so apparently 2 Chainz is gunning real hard for honorary Baltimore citizenship.